Ruby Carmichael is your typical teenager, ignoring the unusual fact she sees ghosts. After she almost kills someone, she discovers she isn't so typical and has abilities and responsibilities she's never dreamed of. She isn't prepared for the revelation she's fated to join the School of Exorcists, a mysterious school that trains young Senders in the art of crossing over the undead and protecting the world from dark magic forces. In this fast paced teen and YA paranormal romance and adventure series, Ruby meets ghosts, learns magic and discovers first love. 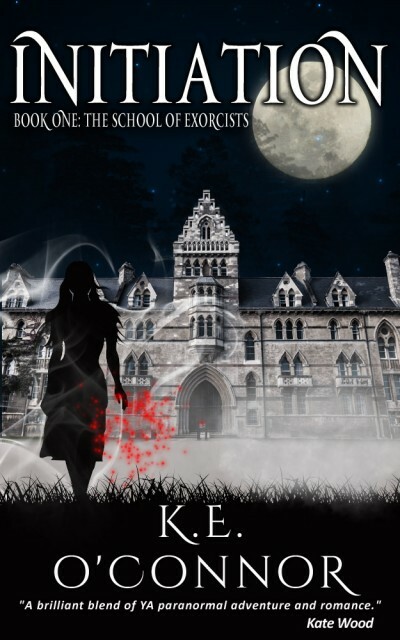 Initiation, Book 1 in the School of Exorcists series, features fantasy action, romance, magic and mystery.